I have had the distinct pleasure of having the new top-of-the-line Pass Labs preamp to play with for the past few weeks: the XP-20. 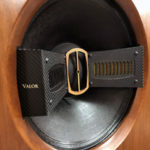 This was a particularly interesting review opportunity because I’ve previously reviewed both the Pass Labs X-600.5 monoblock amp and the XO.2 preamp, so I could make direct comparisons. You may want to refer to those reviews in the July 2007 and February 2008 issues of Dagogo. The XP-20 is a two-piece preamp in which the power supply is located in a separate chassis, thus separating it from the preamps’ analog circuits. I won’t go through each and every feature of the XP-20, since you can easily check that out on the Pass Labs website. However, I will say that though the XP-20 has a tad fewer features than its vaunted predecessor, the XO.2, it has more than enough for all but the most esoteric needs. For instance, the Pass XO.2 is a three-box unit with five duplicate balanced and single-ended inputs. This is a lot of expensive duplication. The XP-20 has two balanced inputs, three single-ended inputs, a tape loop. This is more than enough for the vast majority of audiophiles. There is a removal of the mono function, but that has not affected my usage at all. Just to assure that you can still do just about anything you can imagine with the XP-20, here are some of the features it includes. The left most button on the front panel is MUTE. The front panel MODE switch cycles the preamplifier through its various functions, all of which are shown on a fluorescent display. Arrow buttons allow you to cycle through the 5 available inputs. Input 5 is linked with the Home Theater (UNITY GAIN) function, and is only available by using the hand held remote control. This function allows the preamplifier to function as a unity buffer (0dB gain at volume step 59) for use with components such as surround processors. The XP-20’s gain may also be attenuated to match the requirements of a wide variety of electronics and speakers. The gain control toggles between two settings, offset from one another by 5 dB. The high gain selects +8 dB and the low selects +4 dB as the maximum volume (step 63) setting. Pass Labs suggests that high gain “may be most appropriate for sources that output less than 2 volts rms single-ended and 4 volts rms balanced”. Low gain is the default setting. The electronic volume control has greater than 70 dB of range. The volume control with the easy-to-read fluorescent display allow you to set volume levels with high accuracy in steps of roughly 1 dB or less. Balance can be set to account for asymmetric aspects of your room and in your listening position. As you will read below, the small reduction in the set of features from the XO.2 is more than offset by the performance improvements and reduced price (yes!) of the XP-20. “There is an Extremely Small (but Non-zero) Chance That, Through a Process Know as Tunneling, This Product May Spontaneously Disappear from Its Present Location and Reappear at Any Random Place within the Universe, Including Your Neighbor’s Domicile. The Manufacturer Will Not Be Responsible for Any Damages, Inconvenience or Mental Anguish That May Result. I used the Pass XP-20 in two test systems. System #1 was a modded (by The Upgrade Company) Esoteric P-70/D-70 digital front-end, Lyngdorf RP-1 room correction device, Electrocompaniet Nemo monoblocks and B&W N800D speakers. Cables were Transparent Reference AES/EBU digital (3), Silent Source Silver Signature interconnects and speaker cables, and Lessloss DFPC with the Lessloss Firewall Power Distributor. System #2 was an Esoteric P-05/D-O5 digital front-end, Pass Labs X600.5 monoblocks and Usher Be-20 speakers. Cables in the second system were Shunyata interconnects and speaker cables. Power was via Shunyata and Silent Source High Current Signatures, with a Shunyata Hydra power filter cleaning the front-end. In the first system, I compared the XP-20 directly to both the MBL 5011 and the MBL 6010D. In the second system, I compared the XP-20 directly to the Pass Labs XO.2. The XP-20 is a superior preamp and a truly excellent value in the high-end world. Let’s talk about some of its most obvious musical virtues. Detail and Articulation. “A huge amount of detail without the sensation of information overload.” This is the first note that I made during my review. Over the years I’ve found that I really don’t like many hyper-detailed components. It’s not that I don’t appreciate detail and nuance – in fact, I actively seek it. It’s just that I feel that, in their effort to present minute details, many such components lose the natural presentation of the music. If it’s not a solo, a particular musician’s performance isn’t intended to stand out from the rest. You should be able to pick out details if you want to concentrate on a particular performer, but that performer’s performance shouldn’t be forced on you by the equipment. That is not a problem with the XP-20. The detail is there in spades, but not in a way that distracts from the overall presentation of the music. Instead, it adds to the listener’s enjoyment of the music. Soundstage. “Completely detaches the music from the speakers.” “Noticeably deeper soundstage.” These were the second two comments I wrote down. Compared to some other fine preamps, the XP-20 really does make the speakers disappear. It conveys a strong and realistic sense of performers on a stage, even with your eyes wide open and looking right at the speakers there in front of you. Part of this effect may be due to its superior soundstage depth, which in my system rivaled the better tubed preamps I’ve had in my system. Performer Placement and Separation. A complement to the very deep and wide soundstage is the separation between performers and the placement of the performers in the soundstage. To some extent this is the same thing that I described above in my description of the soundstage. However, the outlines of the width and depth of the stage are one thing, while the location of the performers on the soundstage is another. Not only is the soundstage clearly outlined, but the performers are properly arrayed on it. Each performer has his or her own definite location left to right and front to back and a definite sense of space surrounding that location. This applies even when the performers are shoulder-to-shoulder, such as in a chorus. However, this separation is never distracting and only supplements the overall presentation. Speed and PRAT. “Lively, with a very natural energy to the music.” This is a must for me. Some components slow down the presentation. The XP-20’s articulate bass never allows this to happen unless it is an intended aspect of the presentation. In System #1, the Pass Labs XP-20 clearly bested the MBL 5011 in all areas other than weight. This was particularly noticeable in soundstage width and depth and in the XP-20’s ability to make the speakers disappear. The XP-20 expanded everything in the soundstage without distorting the size of the performers, which is something that happens with some components. Rather, the expanded soundstage added breadth, depth and separation without creating “big head” vocalists or oversized solo instruments. It was also very noticeable in the amount of musical detail coming from each performer. By comparison, the MBL 5011 seemed to add weight and body at the expense of soundstage transparency and important musical details. When done right, musical weight adds a large measure of realism to the music. When done badly, it slows down the performance, making everything ponderous. If it’s really bad it also destroys bass articulation, causing the notes to blend together. Musical weight, particularly bass weight, is a major strength of the MBL components I have heard. On the other hand, Pass components have outstanding articulation. 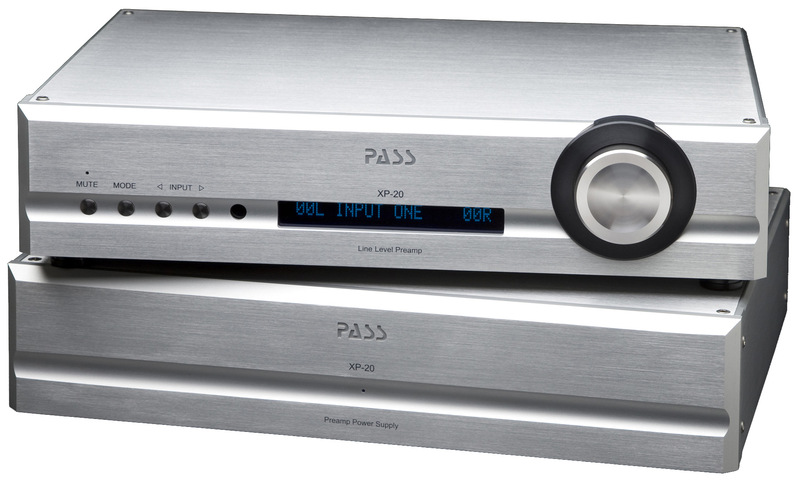 As I mentioned in my July 2007 review of the Pass Labs X600.5 monoblock amps and my February 2008 review of the Pass X0.2, those components produced excellent articulate bass that exhibited a propulsive speed that accurately reflected the music being played. However, I noted that they erred on the side of articulation and speed at a slight sacrifice of bass weight. This is the only area that I preferred the 5011. On the other hand, I preferred the MBL 6010D when comparing it to the XP-20 in System #1. The 6010D had all the positive attributes of the XP-20 – detail, articulation, dynamics, soundstage width and depth, and speed – but with substantially more bass weight. This mated very well with my B&W N800Ds, which sound lean in the bass to some. However, I must point out that the MBL 6010D is $24,000, nearly three times the price of the $8,600 Pass Labs XP-20. While listening in System #1, I had the distinct impression that the XP-20’s bass weight was better than that of its predecessor, the XO.2. Musical memory being what it is, I reserved judgment on this point until I could do a head-to-head comparison between the XP-20 and the XO.2, which I was able to do after several weeks when I inserted the XP-20 into system #2. When I directly compared the XO.2 and the XP-20 in System #2, the soundstage depth and width, performer placement and bass weight of the XP-20 was noticeably better that that of the XO.2. I’m not saying that the improvement was overwhelming, but it was clearly noticeable. Moreover, mating the Pass XP-20 with the X600.5 monoblocks and the Usher Be-20’s produced powerful bass with very good weight and body. Any more weight and it is very likely that the bass would have started to become muddy. I attribute this in part to the Be-20’s very prodigious bass capabilities, which definitely exceed those of the B&W N800Ds. This again highlights the critical importance of system synergy. The XP-20 mated perfectly with the Pass X-600.5, and the two of them mated perfectly with the Be-20s, producing a powerful, deep and propulsive bass coupled with a smooth midrange and extended grain-free highs. One of the improvements specifically called out in the XP-20 manual is the improvement of detail, clarity and bass at very low volumes. When I first read this I didn’t give it much thought. After all, most of my critical listening is at “realistic” volume levels, so what did I care that the XP-20 might be better than other preamps at low volumes? Well, I almost missed this aspect of the XP-20. I just happened to turn it all the way down to the “1” setting when I heard the phone ring in an adjoining room. When I saw that someone else picked up the call I was about to turn the volume back up when I realized that I could clearly hear all the notes in the piece that was playing. After a few more minutes of listening it dawned on me that I had never heard any preamplifier sound so good at its lowest setting. I checked to see whether the XP-20’s lowest setting was artificially loud. Nope – it was whisper quiet. After a few experiments with a variety of music, it became clear that the Pass XP-20 produced the best low-volume-level resolution I had ever heard from a preamp. Listening levels that were wholly unsatisfactory with other preamps produced a good musical experience. Moreover, I found that this characteristic continued as volume increased – I was able to happily listen at volume levels that were a bit lower than the settings needed to produce satisfactory listening with other preamps. If you find that you must listen at low levels – perhaps late at night when the rest of the family is asleep – inserting the Pass Labs XP-20 into your system will provide a superior listening experience at extremely low volume levels. I really came to appreciate this feature as my review progressed. It always amazes me how substituting different top-flight preamps can change a system’s character even when all the preamps are designed to be “neutral”. However, it’s hard for me to imagine a more “neutral” preamp than the XP-20, so if you like the overall sound of your system, the XP-20 will work to improve most everything without making you wonder about what happened to that tonality you used to love. 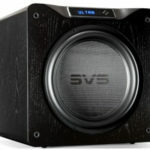 From my own experience, you can expect that soundstage depth, performer placement and bass articulation will be improved unless your system is already at reference-level performance. On the other hand, if you’re looking for a preamp to change your system’s tonality or make it “lighter” or “darker”, the XP-20 will only accomplish that if your previous preamp was significantly colored. I won’t say that the XP-20 betters the X.02 by such a large margin that X.02 owners have to rush out and immediately buy one (Thank you, Ed. –CS), but the improvements are clear in direct head-to-head comparisons. I thought the soundstage depth and low-volume-level resolution were both significantly better, but I’d also say that the other improvements affected all aspects of the musical presentation. The bass doesn’t have much more weight, but it clearly does have more; the dynamic range isn’t much wider than the XO.2’s, but it’s clearly wider; the midrange isn’t much smoother, but it’s clearly smoother; etc. 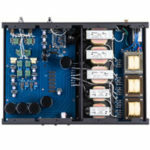 If you’re a Pass Labs fan looking for improvement without any downside, you will want to consider getting this preamp to improve your overall musical presentation. Sorry. The XP-20 is a significant achievement in more ways than one. Not only does it better the X.02, but it does it at a lower price. Let me repeat this with a slightly different emphasis: a highly respected manufacturer of top quality audio equipment put out an improved preamplifier at a price that is (approximately) 14% lower than its previous reference product. We audiophiles need to encourage this. 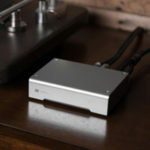 Furthermore, in terms of audio quality this is a meticulously designed and developed component that improves upon its predecessor, which itself was an elite preamp. It appears to do this by obsessive attention to detail that enabled Pass Labs to drop the noise floor to vanishing levels, thus allowing details and dynamics to emerge in a very natural-sounding way. The XP-20 could easily have been priced the same or higher than its predecessor. Pass Labs’ website says that: “This could easily be the last preamplifier you need to purchase.” I agree completely. Looking forward to your informed rely.